Tired of your pet's misbehaviour? Looking for a human way to calm him down? Try this Herm Sprenger dog pinch collar of black stainless steel. 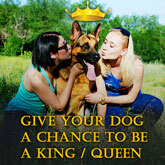 It's a great helper for you during obedience training of your pet. Train him effectively and teach to obey your commands with the finest quality supply available! Do you train dogs of different breeds and different neck sizes? Get this incredible accessory and use it for training several dogs changing its size only by removing or adding links. 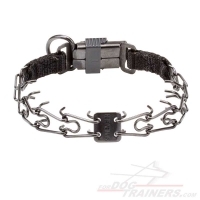 The diameter of links of this dog pinch collar of black stainless steel is 1/11 inch (2,25 mm). The width of this collar is 4/5 inch (20 mm). 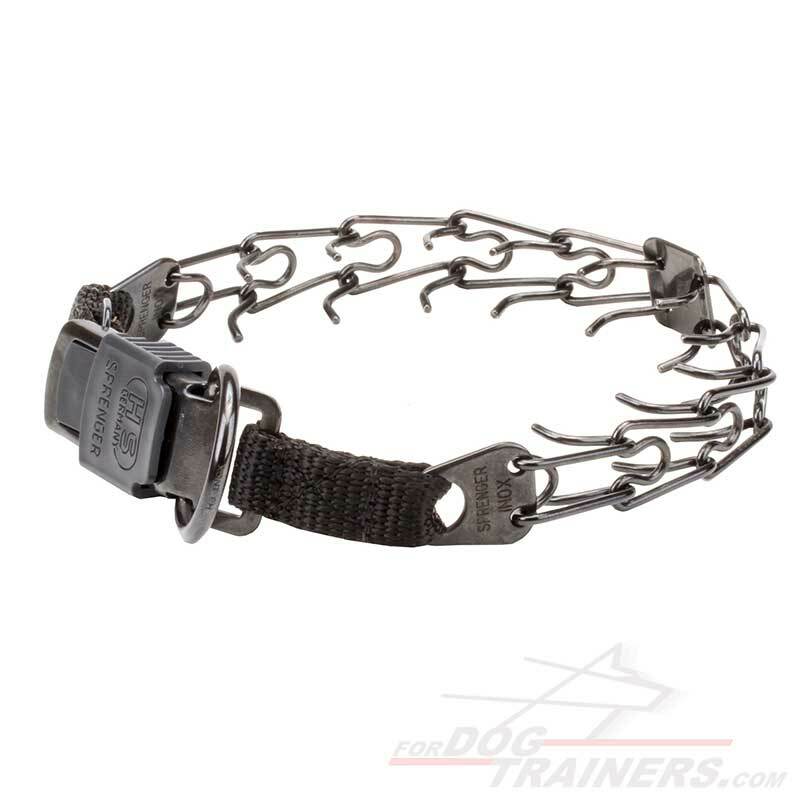 This dog pinch collar consists of 10 removable links, so you can easily change the size of the collar. If your dog gains weight or loses it, when he grows up, it is possible to get extra links, for this accessory. Additional link will enlarge the collar's size for 1 inch (24 mm). This dog pinch collar by Herm Sprenger company can withstand the load up to 200 kg (440 lbs). you are looking for an efficient equipment for obedience training of your canine, but consider choke collars inhumane. 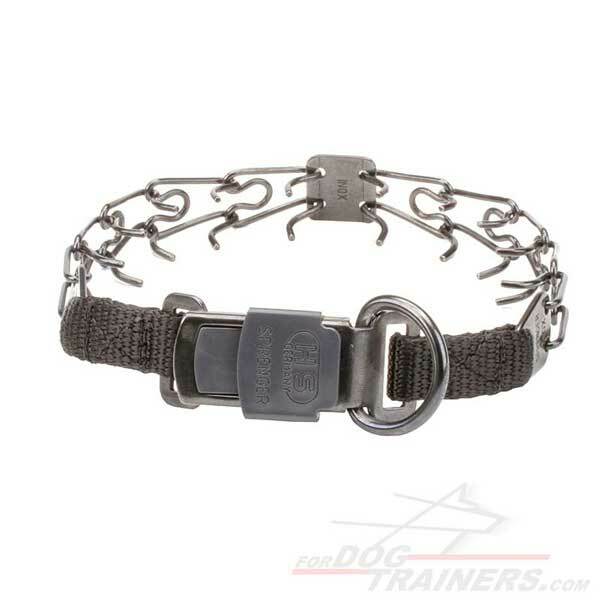 This Herm Sprenger Dog Pinch Collar should be worn only under your supervision. In this case it is an effective training device. But never leave your canine alone with this pinch collar on, he can hurt himself by accident! If your dog is still growing, it is required to order a collar that perfectly fits him at the moment. It's not recommended to get a collar of bigger size, then it will have no effect on his behaviour and can be lost. At the same time, do not order a collar, which size is too tight. It will have no effect also, your canine will get used to the pressure on his neck and will pay no attention to it. it protects the collar from dirt and dust. ?